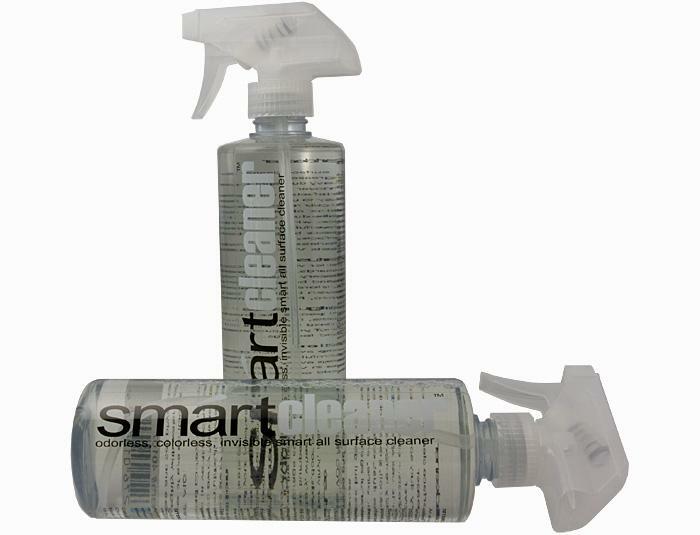 Smart Cleaner - odorless, colorless, invisible smart all surface cleaner. An all-surface super cleaner. From interiors to wheels, Smartcleaner cleans from bumper to bumper. Get it clean without the smell! Bare-Knuckle cleaning power without the musky chemical leave you feeling all beat up. Put some fear into dirt and stains with the invisible cleaning power of Smartcleaner. 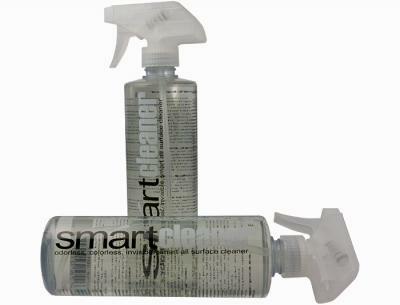 Smartcleaner cleans and disinfects eliminating up to 99.9% of vehicle germs while eradicating the toughest of caked-in dirt and grime. Odor eliminating, low-foaming and pH neutral formulation reduces airborne bacteria while eliminating foul odors at the source. The clear choice in cleaning: tough on stains, grease, grime and dirt, yet gentle on the user. Great for vinyl, plastic, dasboards, door panels, carpet, tires and bumpers, engine bays, storage compartments and even the junk in your trunk. For auto, RV and home uses.